The Stadium Operations course, one of many courses in module 2 of The Football Business Academy’s master program, was thoroughly presented by top stadium experts provided through the ESSMA network and provided us with special case studies. It was split into three different parts; Stadium Development, Operations and Exploitations, which have previously been discussed and now, lastly, Fan Experience. Firstly, we tried to define ‘fan experience’ which is a very broad topic. There hasn’t been any specific definition for it, but it’s all about ‘looking up and not looking down’; Focusing on what is happening on the pitch and on the big screens. Julio Tarrega, who is a creative expert and former Audiovisual Manager of Valencia CF, shared with us a great presentation on audiovisual experiences at the Mestalla Stadium, the home of Valencia. Being one of the most innovative in digitalization, the stadium has HD video walls, robotic cameras and fiberoptic points, high sensitive microphones placed at different stands, multiscreen production, matchday operators and so on, thus making sure they engage with the fans using audiovisual tools during match day to share emotions, good feelings and entertainment. Furthermore, Valencia has been upfront in trying to improve fans’ experience at the stadium and not just have them go to the stadium for the regular 90 minutes match. By diversifying the entertainment, thereby extending the spectacle, the club can increase the fan’s sense of belonging. They are doing all of this because they believe they could make everything around the match as beautiful as the game itself, thereby making fans fall in love with the club and even more every match-day with a truly emotional experience, while also making fans more receptive to the sponsors of the club they love. Julio also made each and every one of the candidates design a proposal in 10 minutes, for a 90 seconds action before the match or at half time, that can improve the audiovisual experience of the fan. Additionally, Benjamin Steen lectured us on Digitalization, and gave us an overview of FC Bayern München, where he works since 2004 and is presently Head of Customer Care, Callcenter and Digital Licensing. We talked about Club Media and its impact on fans and football clubs and also how the market has changed. People now tend to record emotional moments on their smartphone devices and tablets. Times are changing and needs are changing as well. Bayern München generated 1.2 billion monthly digital contents and can boast over 650 million fans worldwide compared to few years ago when it was just one-way communication (website, SMS, press releases and magazines). Benjamin also discussed the importance of social media as well as the need to communicate with the fans and in different languages and platforms every day of the year. Similarly, we also mentioned the importance of the club’s CRM system and how club sponsors are interested in knowing how much data a club has, the fan base, reach, social demographical data and so on. 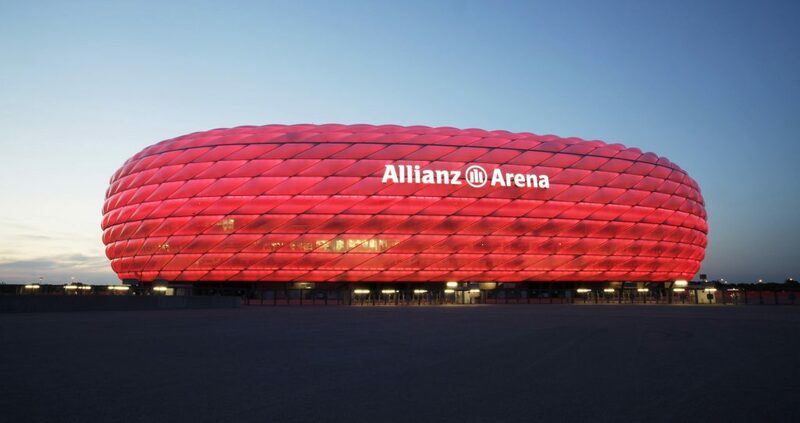 As part of the digitalization process in the Allianz Arena, the club decided to meet some basic human needs by providing Wi-Fi in the stadium and also battery charging ports. More than 1,000 internet access points were implemented in the inside part of the stadium and in the outside part, more than 2,500 live streams were also implemented. We also learnt about the club’s plan in making the stadium more accessible and for everyone, trying to reach both deaf and blind fans of the club making every match a unique experience for all. The club also tried out the use of Augmented Reality glasses with some 50 fans. The commentary was transcripted and shown at the bottom of the glass, making it a whole new experience. What an innovative idea from Bayern München! The final part, Fan Journey and Hospitality was with Bálint Máté, International Project Manager of Ferencváros FC, Hungary. He used the most popular club and record champion in Hungary as a case study. He shared with us some of the Hungarian fan behaviours, hooliganism amongst others both on National and Club levels, the changes that are being made by the football federation in Hungary, construction of new sports infrastructures and government involvement which has brought forth some mixed feelings in the media houses. Bálint also shared some new developments about the club, the new stadium which was a state owned project and completed in a space of 14 months. The official club media platforms were also rebuilt (Instagram, Twitter, Weekly magazines etc) to be able to interact with the fan base. The fans were also segmented so as to provide a target solution, a new entry system was also initiated which is connected to an entire fan card system and also helps to personalize the ticket to avoid counterfeit. The fan card is related to the biometric ID of each fan meaning that no one can access the fan zone in the stadium without a fan card. Today, the club can boast about 140,000 fan card holders. The Ferencváros school program was established to bring in a target group, involve them with the club and increase the young fan base. More than 140 schools were reached, and during this period, about 8,000 new visitors were welcomed in the stadium. It was a really successful initiative and has led to an amazing increase in supporters of the club, and now the club is working on an integrated CRM and ticketing system which will be shared with the club’s other non-football sections. Fan Intelligence: This is all about getting to know the fans. Fan Engagement: Everything that has to do with interactions, trying to build up a relationship and not just during match days. The integrated approach by Olympique Lyonnais is a very good example of fan engagement. They created an application that only works on the Wi-Fi of the stadium, providing you premium contents like video replays, in-seat delivery etc, and they got really interactive with the fans. Lastly, Cyril shared the decision of UEFA to make it mandatory for all clubs playing European football to have an SLO (Supporter Liaison Officer). An SLO is the intermediary between the club and the fans, they work on initiatives to increase interaction between club and fans as well as safety and security. Throughout these insightful sessions, fan experiences have showed us how much times are changing, needs are changing and fan interaction is becoming a necessity for football clubs. Olakunle Adeyemi is a Candidate of The FBA’s Professional Master in Football Business, expected to graduate in August 2018. He can be contacted via LinkedIn.